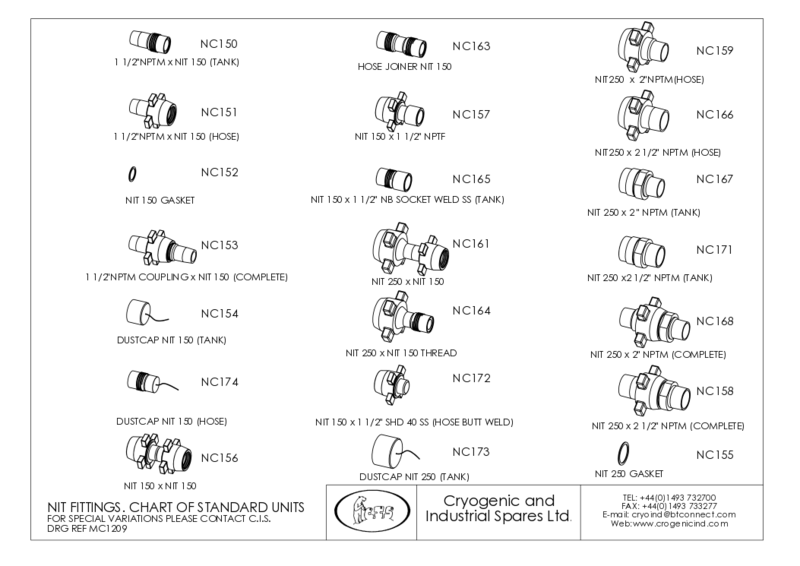 CIS manufactures the following sets of standard NIT fittings. Please contact us for further information about these, or for specific variations. Most NIT fittings come in two sizes. Please click on the links below for further information on these.